We all know that the macaron is French—but one creative baker in New York City has given this beloved and iconic confection an unapologetically American spin. 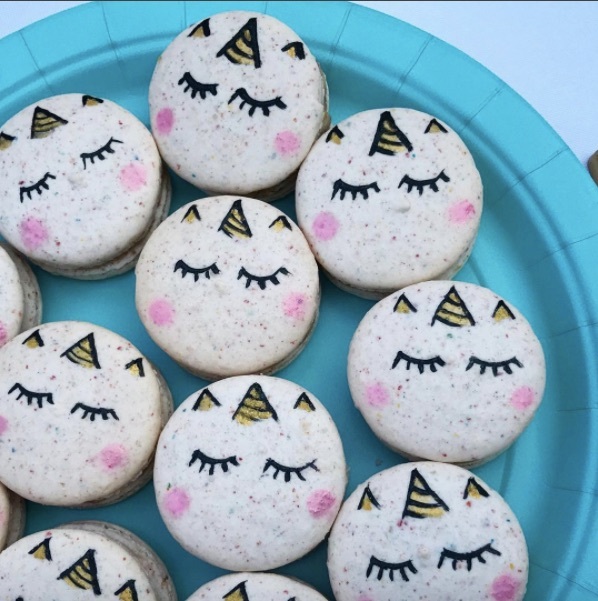 Dana’s Bakery makes gluten-free and kosher macarons in “fun American flavors”—inspired by foods like chocolate covered pretzels, crispy rice treats and the Big Mac, these sweet round treats not only taste interesting but look awesome as well. The flavors on offer are often influence by the season—for instance, the bakery created custom macarons for fashion week, and recently unveiled the limited edition pumpkin spice flavor. Follow Dana’s Bakery on Instagram for more “American-style” macarons—it now ships nation-wide, so you can get your hands on some of this yummy goodness even if you live outside of the Big Apple!